At the very beginning of the 50s, the tireless Ferraro, who was still not satisfied after having set up schools and founded magazines, thought of something else in order to spread his enthusiasm in underwater activities. Inspired by a film on the former American swimming champion Esther Williams, who dedicated her life to water choreography, he founded his own authentic aquatic show. The subject of the show focused on "Il Corsaro Nero" by E. Salgari, the scripts were by Torre, Sanguineti, Tessari and it featured original music and professional actors. 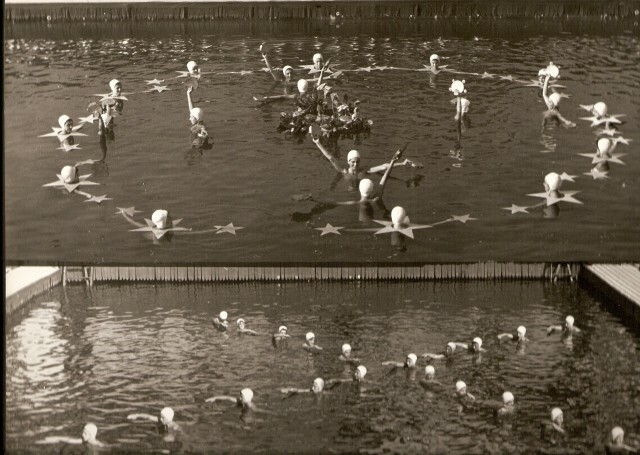 Ferraro was in charge of the organisation and of technical management and trained 24 female champion swimmers specifically for the show. The show debuted in April 1953 at the Albaro swimming pools in Genoa and was very successful, to the extent that it was repeated in other Italian cities. The show managers were the Venturi brothers from Bologna, who even went as far as to build a swimming pool that could be dismantled, which was intended for use in cities where there were no suitable swimming pools. Ferraro's objective of increasing the popularity of underwater activities could be considered fulfilled and this was enough for him. He was not interested in show business and least of all in being the manager, so he let the show carry on without his contribution. Water choreography has become an Olympic sport and water shows have become rather popular. These can either be set in the many water parks spread throughout the world or in Las Vegas style grand settings.